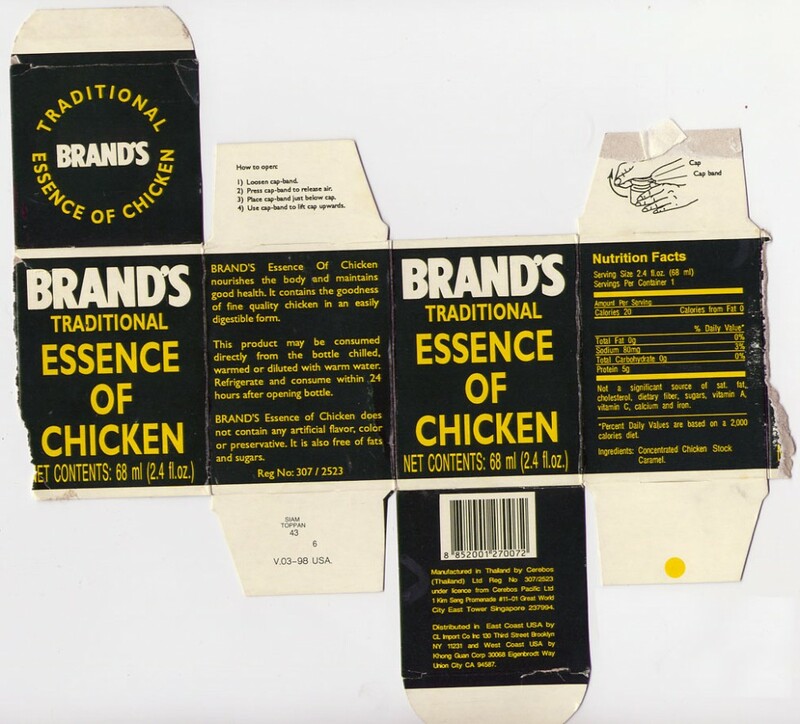 BRAND’S Esence of Chicken nourishes the body and maintains good health. It contains the goodness of fine quality chicken in an easily digestible form. This product may be consume directly from the bottle chilled, warmed, or diluted with warm water. Refrigerate and consume within 24 hours after opening bottle. YUMMY! Thank goodness there’s finally a more easily digestible form of chicken. PS i have no idea where I got this, but I did keep it taped up by my desk in grad school. Just what I’ve been looking for! Hope it goes with tea….